Transform curly, frizzy hair into a straight, smooth style that lasts up to 3 days*. Formulated with Keratin, this heat-activated formula protects against heat damage and wraps each strand to seal in longer lasting straightness without weighing hair down. *or until your next shampoo if less than 3 days. 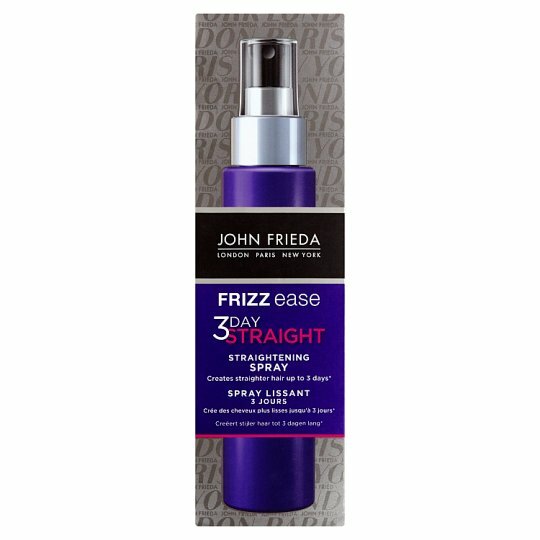 Directions: Spray evenly throughout Damp or Wet, not dry hair. Start with 7-15 sprays, using more or less depending on amount of curl, hair length and thickness. Comb to distribute evenly and blow-dry hair straight. Finish with a hair straightener, straightening hair in sections.